Whether you're doing some renovations around the home by yourself, or are a professional contractor, you want it done right, and we're here to make sure that happens. From time to time, this section of the website will feature tips, insights into aspects of the National Building Code, and other information that will hopefully be of use to the pro as well as the weekend warrior. Nowadays, most homes are built with 2x6 walls, not 2x4s. This is because of new insulation requirements in the 2010 National Building Code. In our area, all walls must have a general value of R17. Installing R22 insulation in cavities of 2x6 studs spaced 16 inches apart averages out to R19. 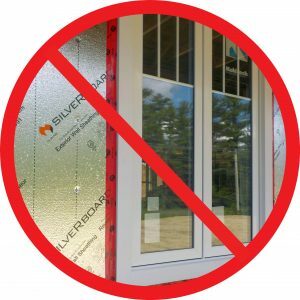 The various brands of red tape are used to seal vapour barrier on the inside of homes. However, there's a common view that this super-sticky stuff is suitable for sealing housewrap as well as for sealing housewrap to windows and doors. It isn't: the ubiquitous red tape is only rated for interior use. Best practice is to use what's called "flashing tape," a specialized product made to seal housewrap to windows. It is also Code-compliant, by means of testing. There are a number of brands out there that provide a flexible, waterproof barrier to seal windows from potential water intrusion. At one time, it was common practice to hand-build trusses on-site. This is not, however, allowed for buildings constructed under the National Building Code. (In other words, homes.) Roofs must be built with either engineered trusses from one of the many area truss manufacturers, or using an old-style rafter system. Our inspection team can help with specifying rafter-style construction. However, site-built trusses cannot be approved for use in homes covered by building permits, in any jurisdiction. For any concrete floor-on-ground inside a home must have a 4" pipe that goes under the concrete into the fill underneath. The inlet - that is, the section under the concrete - should be as near to the centre of the slab as possible, but need not emerge through the slab at the centre. It should be capped, and labelled "radon". If the home ever tests positive for radon, it is now much easier to install an exhaust system: basically, $20-50 now can save a homeowner thousands of dollars down the road. Given the presence of uranium in the Bonny River/Utopia area (the decay of uranium produces radon, a radioactive gas), we will be extremely vigilant in ensuring all homes in that area have these radon gas extraction pipes installed. that carbon monoxide detectors are installed near the bedrooms in the home. Of course, a builder or homeowner can install fire-rated drywall, should they choose. The National Building Code only establishes a minimum set of standards, and nothing stops a builder from exceeding those.